This awesome Star Trek POP! Vinyl Figure featuring Andorian stands 3 3/4 Inch tall and is perfect for fans and collectors. 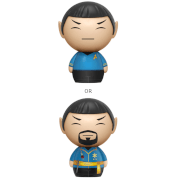 "Live long and prosper" and don't miss out on our other Star Trek POP! Vinyl Figures!